After getting a few questions on how this is really working…I thought today I would clear up a few things with a quick video. This challenge is really kind of a fun one– and simple! Don’t over think it. After starting, I’ve noticed that I’m a little more conscious about sewing every day. 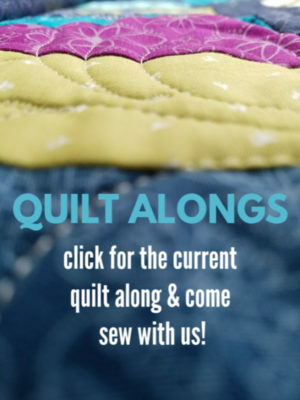 Not putting pressure on myself, but I do try to make it a point to do something related to sewing / quilting. 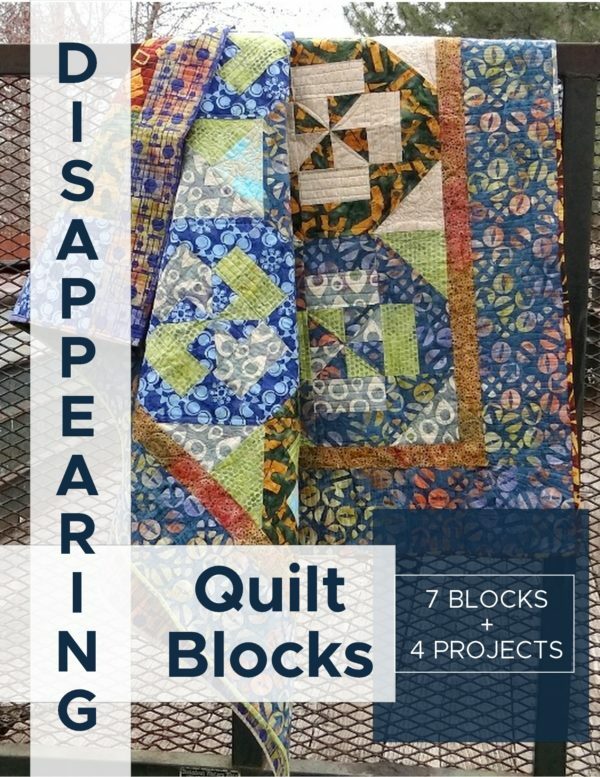 This quilt planner page – daily sewing will help you track how you are making quilting part of your every day. In the video there are even additional suggestions of color coding, dates, or project tracking within the squares. embroidery— I have had a couple of projects that are being worked on right now. They are easy to grab and sew while watching something, chatting with others at night or while waiting for kids at piano or basketball activities. They are packed and ready to go. cleaning up — I know this isn’t really sewing itself, but I am trying to keep my area a little cleaner. If the table is completely covered, I have the hardest time sewing! This little thing has helped a lot. Not having everything in my way allows me to focus on the project, even for a couple of minutes instead of being overwhelmed by the piles. This 30 days of organizing your sewing room might be helpful. building kits— these come in handy and having projects all packed together is a life saver. 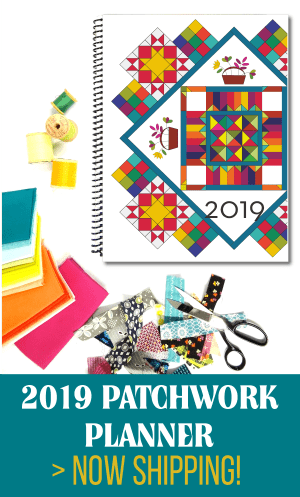 The quilt kit printable will help you make sure you have all the pieces in the right spot as well. You can quickly grab one of these, open it up and get sewing on the next step. When you are done, nicely put all the pieces back into the container you are storing them in and put away. I have been trying to put them away after sewing so I have a choice next time I want to sew. It has been taking the dread out of sewing the same thing FOREVER…… you know what I mean? Little steps— I have been cutting binding, ironing binding, cutting out applique, printing off templates, gathering fabrics, sewing scraps…etc. These little things do take time, but if you sneak them in occasionally- when you have a minute or two in between something else, they get done! I didn’t wait until I had all the time needed to sew binding to the quilt. I cut the binding one time. Ironed the binding another time. Will sew it on, and then complete it all in separate steps. Seriously– breaking things down to small little steps and not pressuring myself to have it all done and complete in one sitting has been wonderful. Not only am I making progress, but I am not feeling like I miss sewing at all. The littlest things are helping me feel like I am doing what I love- which is sewing. 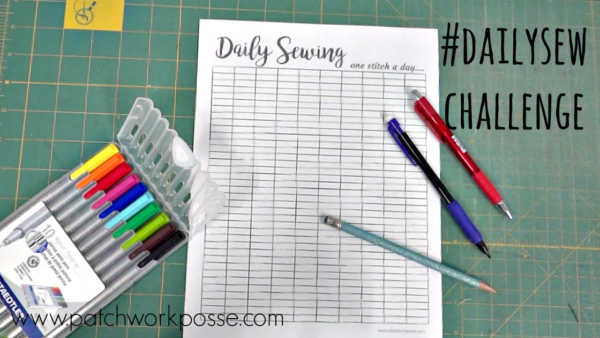 If you are interested in joining me and others in the #dailysew challenge– you can print off the tracker and get the details here. 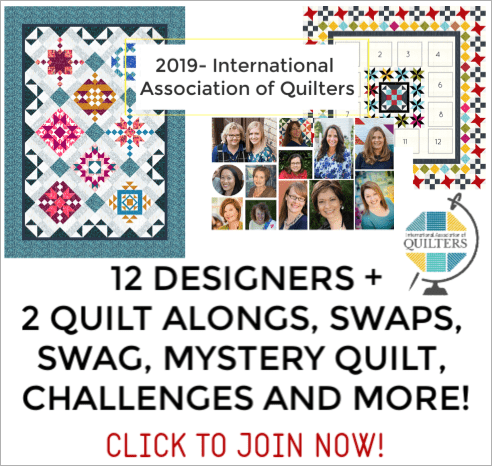 There are no requirements, but if you would like to share your daily sew…then use the hashtag #dailysew and share your pictures in the free community.